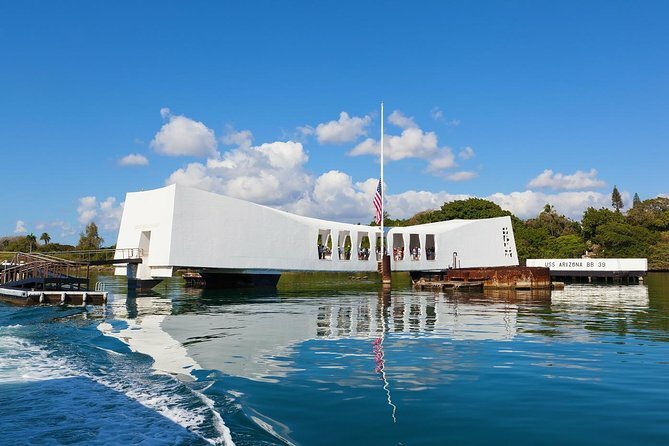 Visit Pearl Harbor and re-live the moment in history that propelled America into World War II at the USS Arizona Memorial without waiting in any lines! 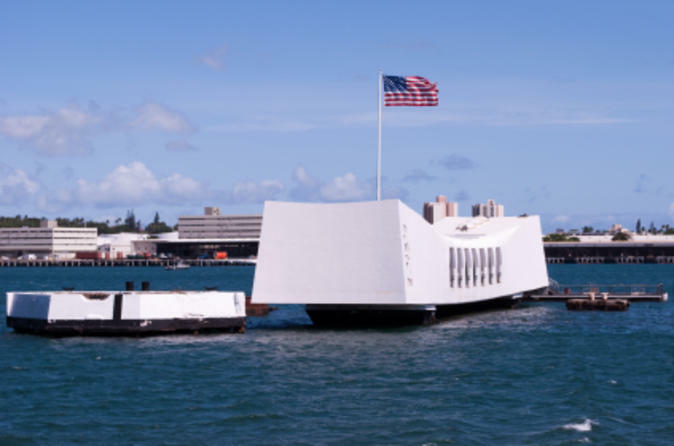 You'll skip the line at Pearl Harbor and visit the Punchbowl National Memorial Cemetery and do a Honolulu city tour, all before returning to your Waikiki hotel. 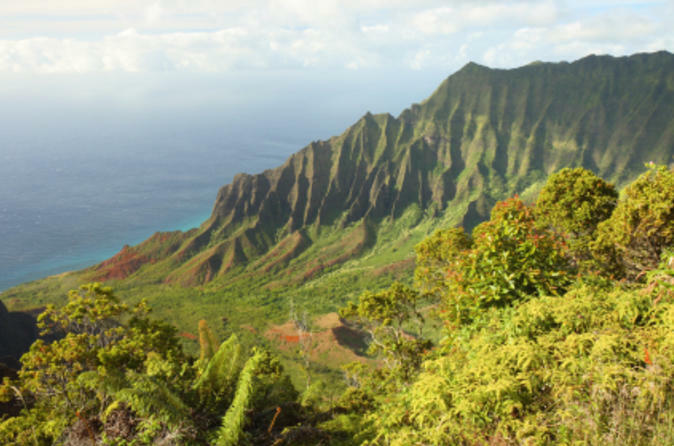 Enjoy a narrated and fun guided walk to the 763-foot summit of Hawaii's most famous crater for incredible 360-degree views of Waikiki and the Koolau mountain range. The excursion is approximately 3 hours and is a truly memorable experience. Led by your expert hiking guide, you will learn about the fascinating volcanic creation, Hawaiian history, European discovery, early cattle ranching, and modern day military use of the “Gibraltar of the Pacific” while being escorted on a 45-minute walk that ascends to the top. Walking up stairways, going into a dark 200 foot tunnel and climbing a spiral staircase imparts a sense of adventure. You will also learn important facts about Hawaii’s native bird and plant species and will be presented with a Certificate of Achievement that states that you successfully made it to the famous summit of Diamond Head Crater. 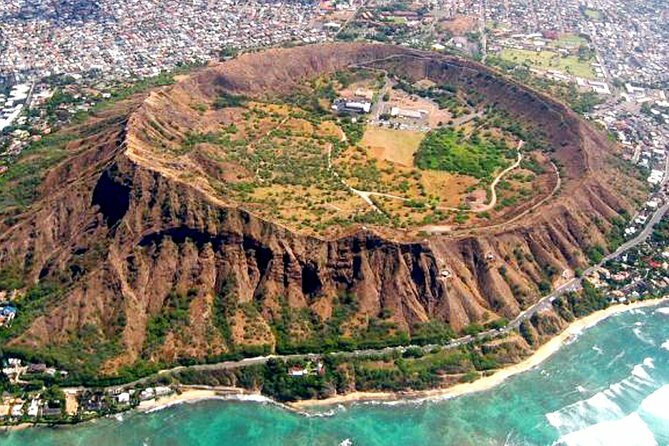 Visiting Diamond Head Crater is one of nature's spectacles you won't want to miss! 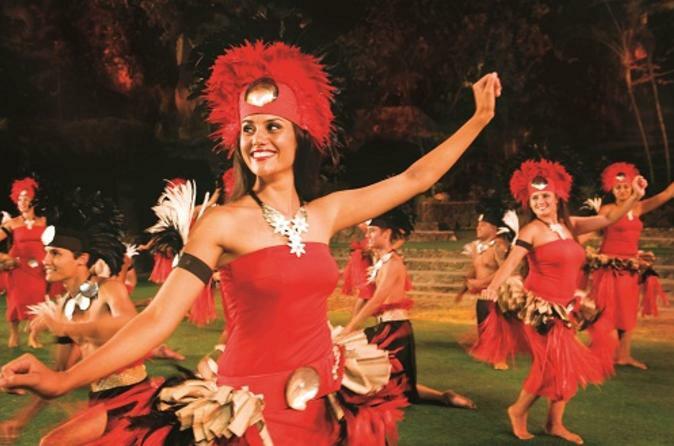 Book your discount tickets to one of Oahu's top attractions, the Polynesian Cultural Center. 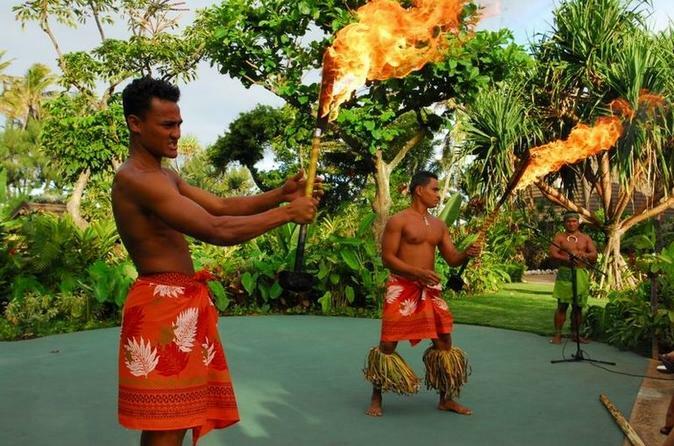 Tickets to the Polynesian Cultural Center’s eight island villages give you the rare chance to participate in the daily adventures of Hawaiian and other South Pacific cultures. 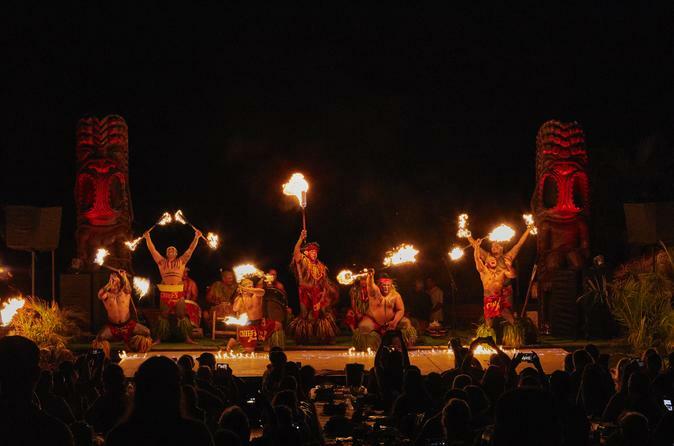 Add the amazing Polynesian evening show and you'll see why every trip to Hawaii should include a visit to the Polynesian Cultural Center! 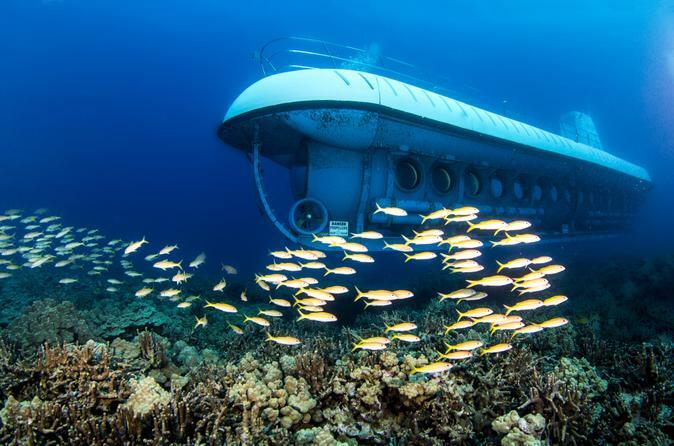 Enjoy an exciting underwater adventure on Oahu! 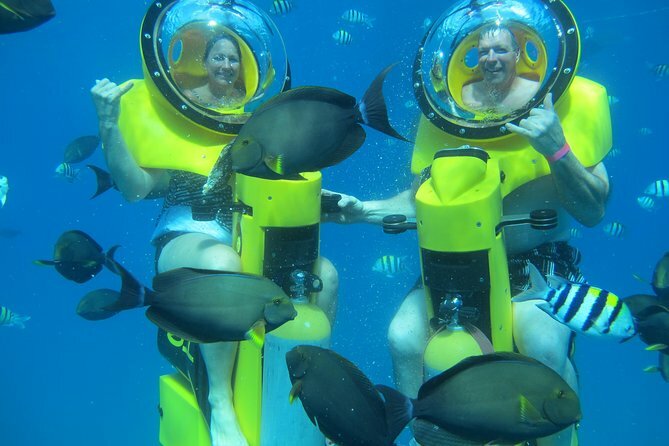 On this submarine scooter tour, cruise along Maunalua Bay past Diamond Head Crater and then dive under the surface while riding your own self-propelled, electric underwater scooter. 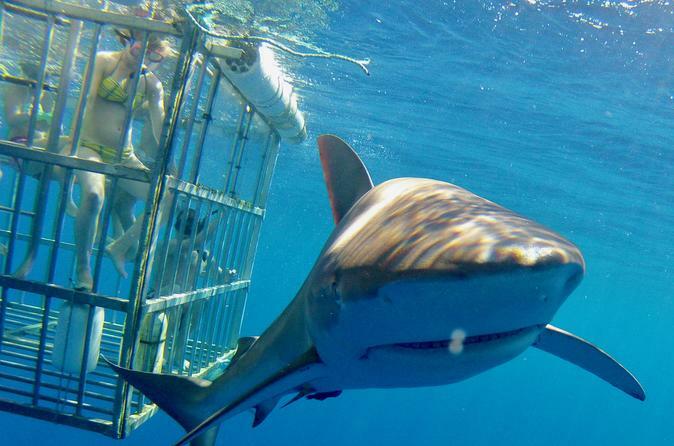 Swim with colorful fish, green sea turtles and other marine life in a totally unique and fun way! Your guide will lead the way, and no experience is necessary. This small-group tour is limited to 30 people, ensuring a more personalized experience. 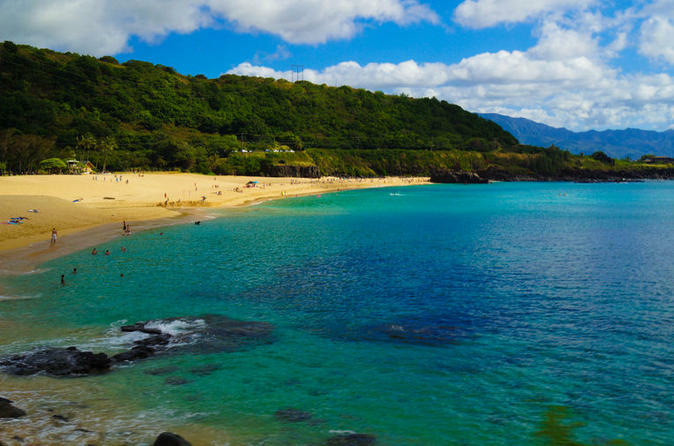 Discover a different side to Oahu on this half-day tour of North Shore Hawaii. On the Oahu North Shore you'll visit ancient temples, wildlife habitats, surf beaches, archaeological sites and traditional villages. You might even spot Oahu's rare green sea turtles! 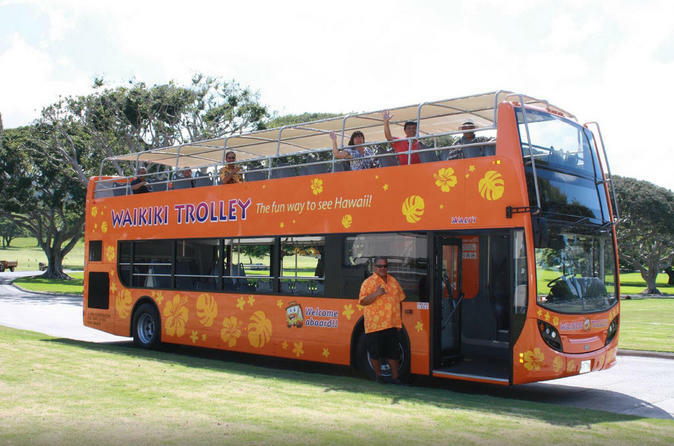 Explore Waikiki and Honolulu with a choice of hop-on hop-off tours that feature the historic sites, scenic natural beauty and world-class shops and restaurants in and around the Hawaiian capital. Sightsee at your own pace aboard an open-air trolley or double-decker bus; simply hop off to visit any site. Choose from four lines that focus on different aspects of the area. Can you picture yourself on a secluded beach, with a beautiful Hawaiian sunset as your backdrop and the tantalizing aroma of a Hawaiian barbeque sizzling nearby? 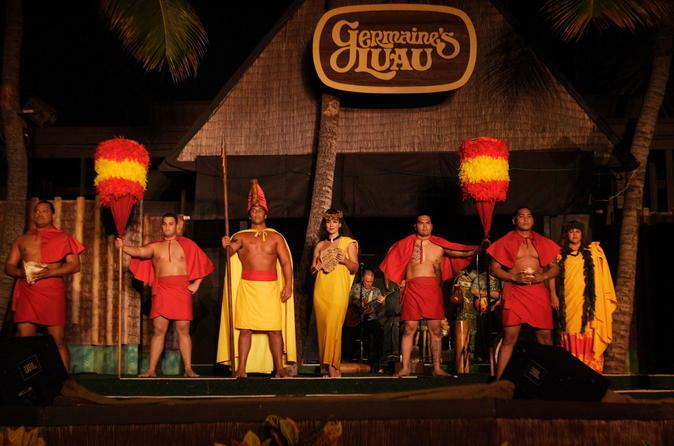 Experience the best of the South Pacific for yourself at Germaine's Luau, an authentic ohana (family) backyard-style show with cultural entertainment that's fun for all. Head to the west shore of Oahu to swim and snorkel with Hawaii’s spinner dolphins! 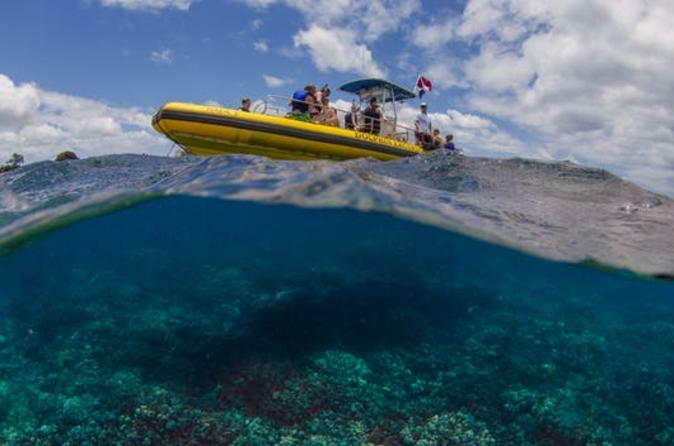 Cruise along the Waianae Coast and snorkel with tropical fish and Hawaiian green sea turtles. During the winter months (January to March), the Waianae Coast has more visitors -- humpback whales! Round-trip Waikiki hotel transportation, lunch and snorkel gear are all included on this tour. 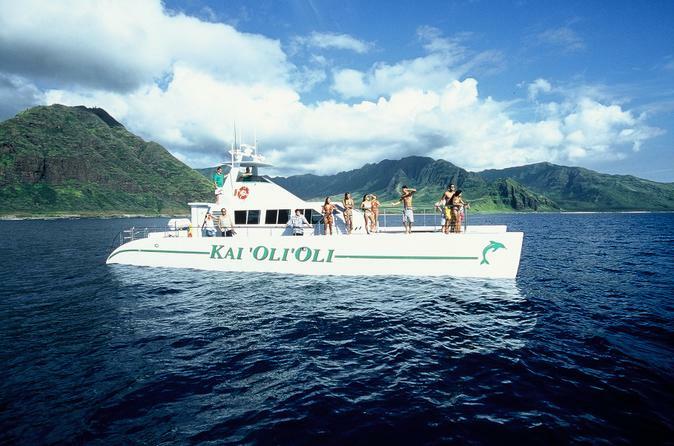 Set sail for Turtle Canyon on a power catamaran from Waikiki, enjoying a scenic cruise along the shores of Oahu. 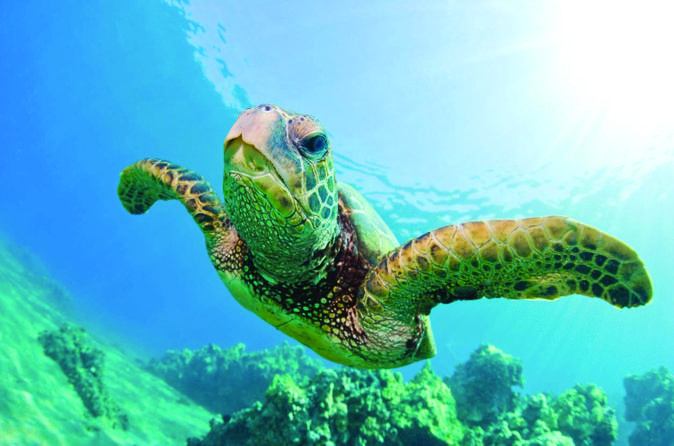 Your goal: snorkeling in warm waters frequented by Hawaii’s green sea turtles! Back on board, enjoy two provided drinks, and refuel with lunch if you select the midday tour. Keep an eye out for dolphins, migrating whales and other marine life as you soak up the sights, including Diamond Head. Turtle sightings guaranteed! On this turtle snorkel cruise, if a turtle is not sighted, you will be given a complimentary return turtle snorkel cruise. Make a trip to the famous Kualoa Ranch for a full-day Oahu adventure! Choose from two amazing adventures, including a 1-hour ATV tour, a 1-hour horseback riding tour, a movie-set tour, a jungle expedition and more! You'll also enjoy a delicious lunch of teriyaki beef and chicken, BBQ pork ribs, chili, corn, a selection of side dishes and fresh fruit. Water, juice and coffee are also available. 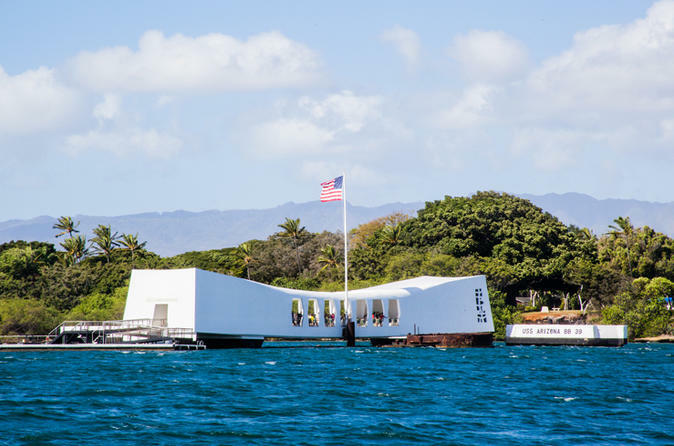 This historical and cultural day trip takes you from Waikiki to several top Oahu attractions including Pearl Harbor, the USS Arizona Memorial, the Dole Plantation and the Polynesian Cultural Center. You’ll also capture beautiful views from various North Shore beaches, and explore Byodo-In Temple, an impressive Buddhist temple as seen on 'Lost' and 'Hawaii Five-0.' 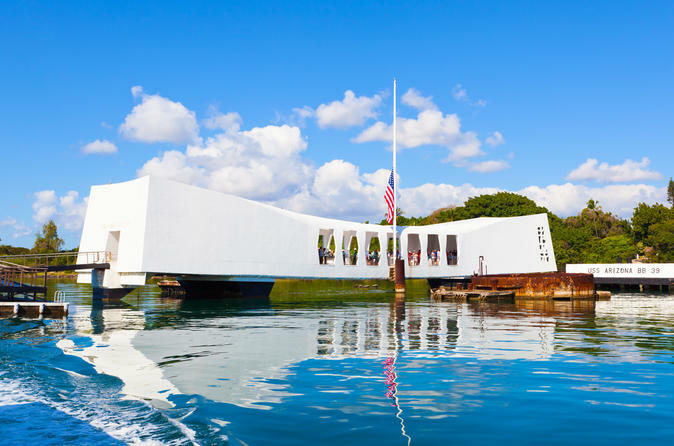 A traditional all-you-can-eat Hawaiian lunch is included, and throughout your tour, your expert guide will provide informative and entertaining commentary about Oahu's history and native culture. This small-group tour is limited to 20 people, ensuring a more personalized experience. Enjoy a thrilling flight by open-door helicopter to see the very best of Oahu! With nothing to obstruct your view, you’ll soar over Oahu on a spectacular 45-minute narrated helicopter tour for an adventure of a lifetime. 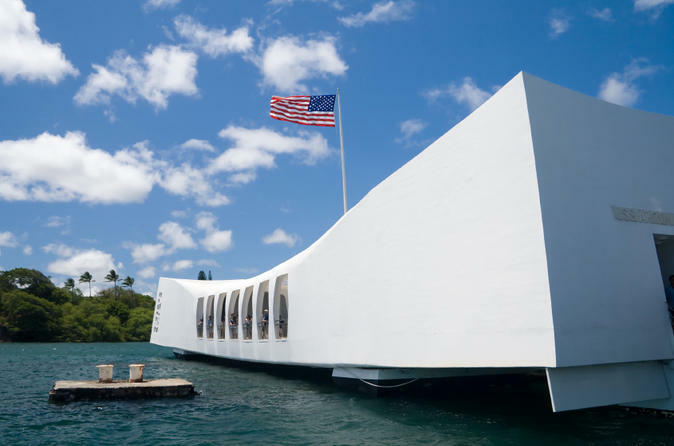 Feel the wind in your hair as you admire unbeatable aerial views of must-see Oahu sights including Honolulu Harbor, Hanauma Bay, the Halona Blowhole, Sandy Beach, Dole Plantation, Pearl Harbor and the USS 'Arizona' Memorial. Discover Oahu’s dramatic views and stunning vistas on this 30-minute sightseeing tour by helicopter! Following the helicopter tour, enjoy a romantic sunset dinner cruise or an exciting submarine adventure. Enjoy professional flight narration and round-trip Waikiki hotel transportation. 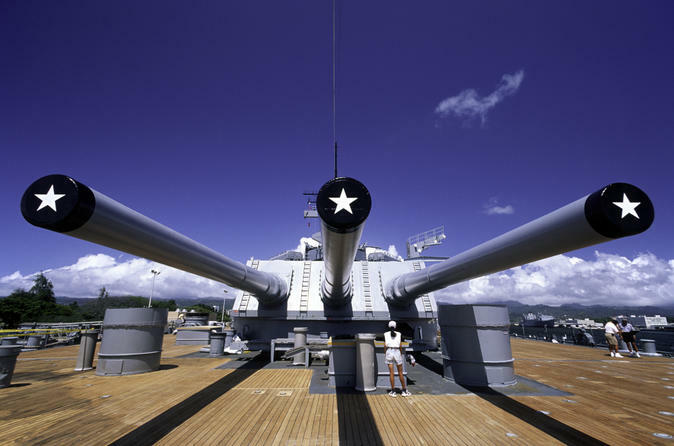 Book this Oahu helicopter tour and dinner cruise or submarine adventure together and save 15% per person! Book both adventures and save money! 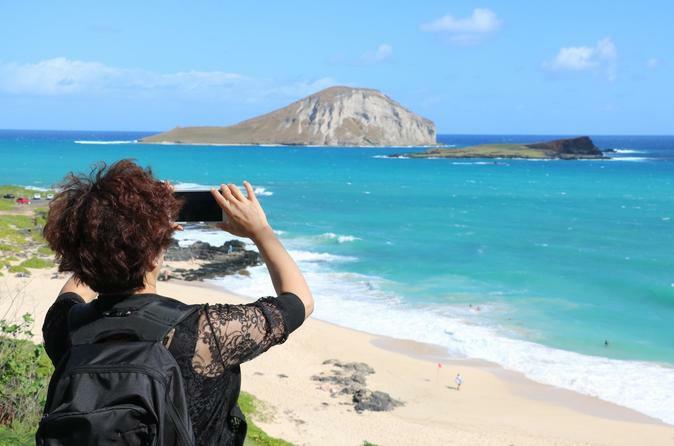 Join us on this exciting journey of discovery to see the beautiful Hanauma Bay, Kaiwi coastline, the famous Halona Blowhole, “From Here to Eternity” beach, Makapu’u Lookout, world-renowned Pali Lookout, visit Valley of the Temples, colorful Byodo-in Temple, scenic Chinaman’s Hat and Kahana Bay. We stop for lunch at Fumi’s Shrimp Stand on the North Shore where you'll be served your choice of nine different sauteed shrimp plates with steaming rice and a delicious shave-ice treat. World famous Sunset Beach and Waimea Valley, the Arboretum and Waterfall are next, followed by the Dole Pineapple Fields and Plantation. Throughout your journey of discovery around the island of Oahu your nature guide will provide a fascinating narration about Hawaii's bird and plant species, geology, history and culture.Tour includes admission fees to all visited locations, includes the lunch and shave-ice, and each party also receives a 152-page Gift Book "Guide to Nature on Oahu" as a souvenir. Tour the most popular Hawaiian Island in a climate controlled Sprinter tour van. This must-do tour covers most of the popular highlights of the island including some hidden gems along the way. Join our friendly guides and fellow visitors as we start from the world famous Waikiki Beach and explore the island in a circle trip. 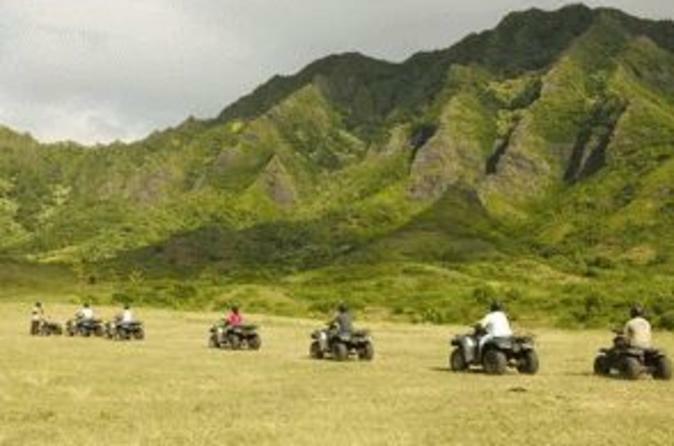 Explore the beautiful Ka'a'awa Valley by ATV! 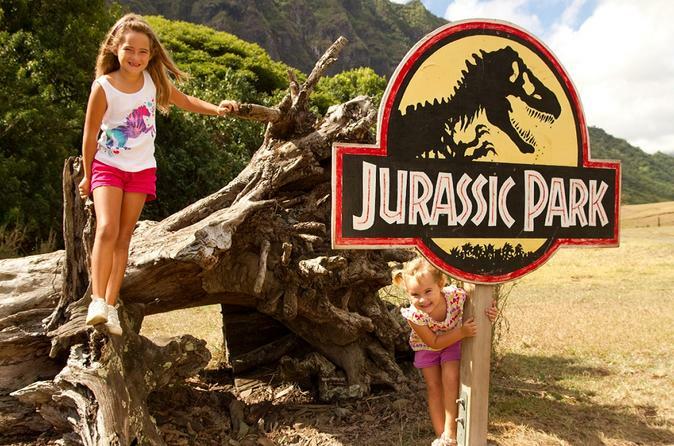 Ride through the picturesque Kualoa Ranch and discover the valley and mountains featured in famous Hollywood films including 'Jurassic Park' and 'Pearl Harbor.' Experience 3 exciting tours in this awesome adventure package! Visit the North Shore of Oahu along with other attractions on this comprehensive day tour from Waikiki. You’ll learn about the roots of Hawaiian and other Polynesian cultures, see breathtaking views of beaches known for big-wave surfing and taste delicious local foods as you explore the top sites of the island. This small-group tour is limited to 20 people, ensuring you'll receive personalized attention from your guide. 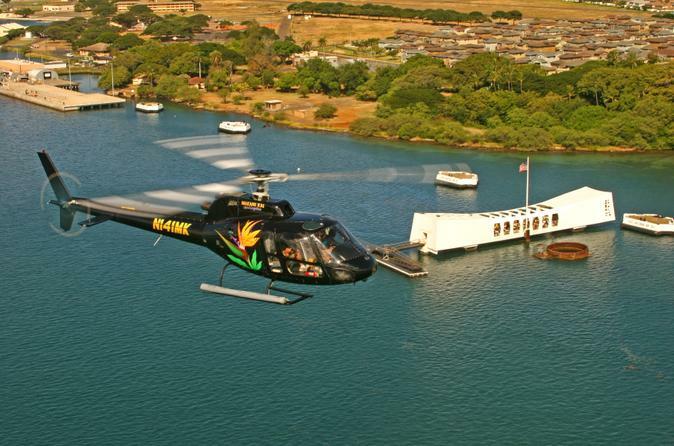 See the very best Oahu has to offer on this spectacular 45-minute Oahu Helicopter Tour. Your knowledgeable pilot will select the optimal route based on weather conditions, ensuring all the "must see" attractions are included in your tour. 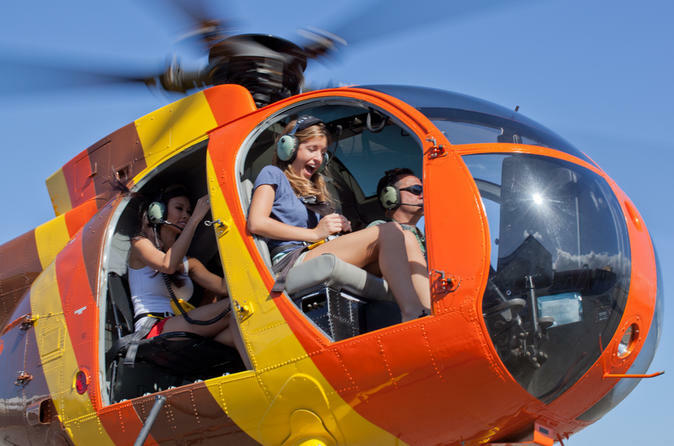 Honolulu Helicopter Tours take you flying over Keehi Lagoon, historic Honolulu Harbor, Aloha Tower, Ala Moana Beach Park, Magic Island and world-famous Waikiki Beach! 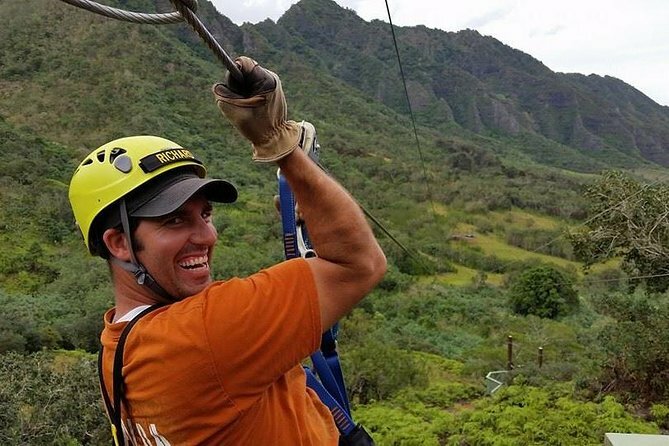 Experience the natural beauty of Oahu on this 2.5-hour zipline tour at Kualoa Ranch. Soar through the treetops of Ka’a’awa Valley on 14 tandem cables with the aid of experienced guides, who ensure your safety with automatic braking. Cross two suspension bridges, look down on streams, and discover native plants on a walk along the nature trails of this sacred Hawaiian valley. Explore the exciting activities available at gorgeous Kualoa Ranch with a package that includes lunch and your choice of three tours. 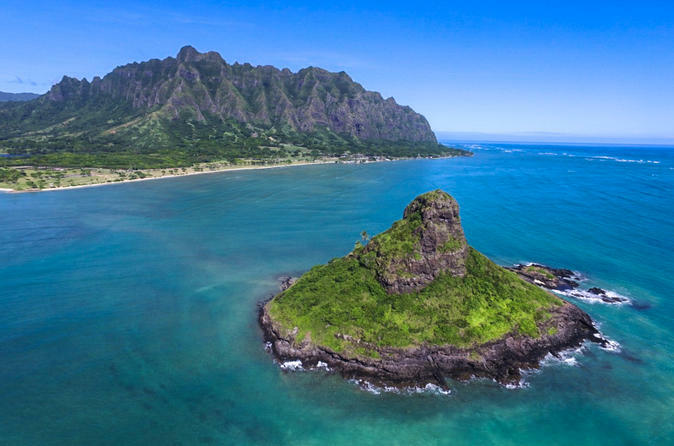 Located on the northeastern side of Oahu, Kualoa Ranch features a variety of terrain and activites such as an off-road jungle expedition, a movie site tour, an ocean cruise or a beach visit. Expert guides share the history of Hawaii and the ranch as you discover its lush rain forest, green valleys and white-sand beaches. 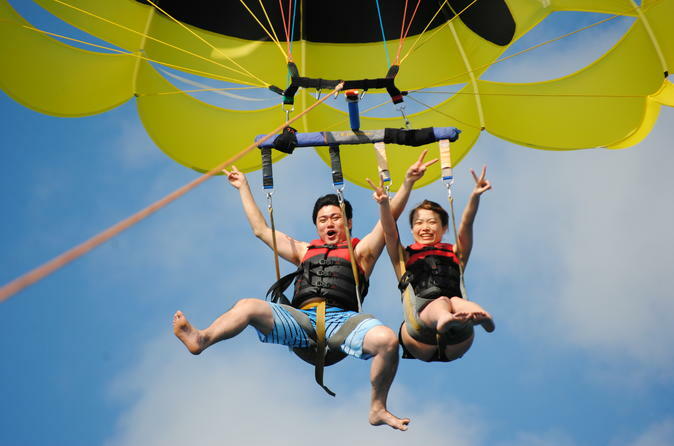 Bring the whole family along for an exhilarating Oahu parasailing adventure from Honolulu! Soar above the waters of Maunalua Bay for breathtaking views of the Hawaii Kai coastline, Koko Head and the Ko’olau Mountain Range. Choose from two flights that take you 500 feet (152 meters) or 700 feet (213 meters) in the air! Enjoy a tandem flight and take a dip in the tropical waters just before landing back on the boat. Digital photos and GoPro videos of your flight are available for purchase as an unforgettable memento of your Hawaii vacation. 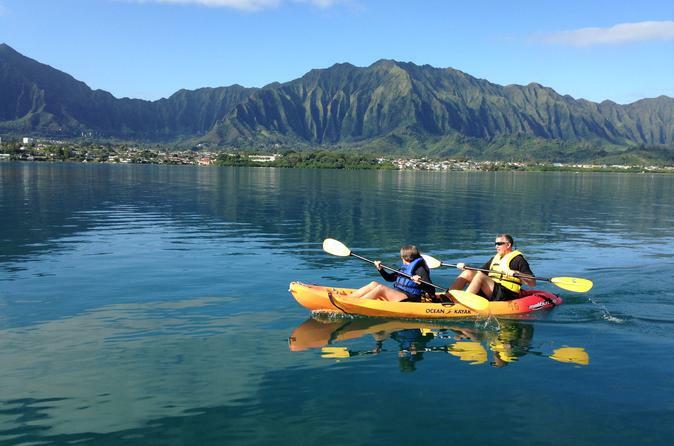 Bike, sail & snorkel on Oahu on this exhilarating combo tour! Explore lush rainforest and sparkling ocean all in one day! 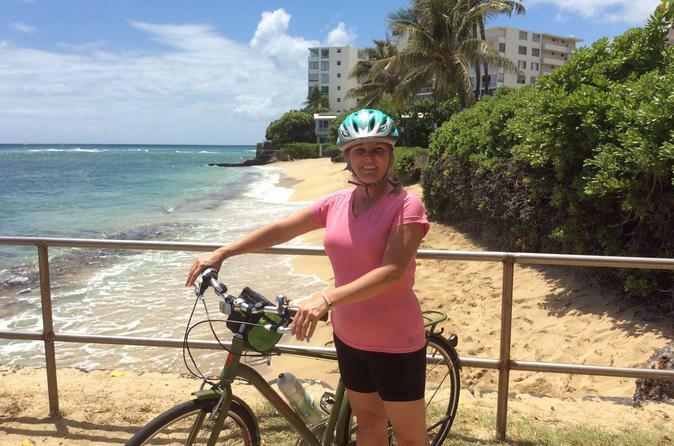 Roundtrip Waikiki hotel transportation, expert narration, mountain bike, all equipment & deli-style lunch included. 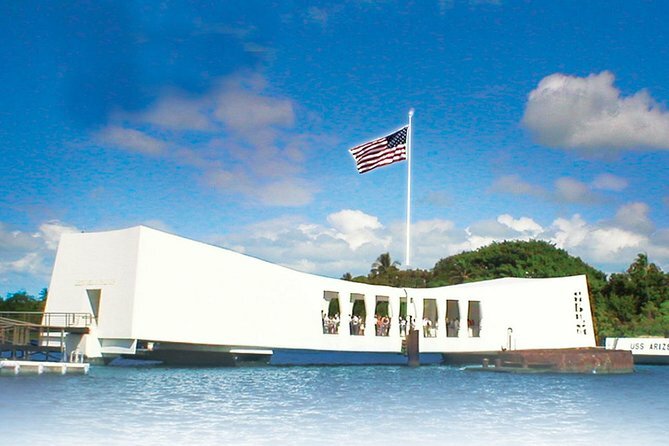 Experience Arizona Memorial and historical downtown city tour in the comfort and safety of Royal Star vehicle, with seat belt, on board original video and mint and hand towelette service. Professional Royal Star driver guide is trained to the highest standard, not only for in-depth narration but also to assist you at each stop. Pedal to the base of Diamond Head with its unique neighborhoods and secluded beaches. Visit 10 to 16 local eats in the Diamond Head, Kapahulu and Kaimuki neighborhoods and try samples at 5-6 stops on this all-inclusive 3 to 4-hour foodie tour. Enjoy a taste of paradise accompanied by interesting historical narration from your guide. Snack on local meats and sweets with veggies, fish, fruits and juice or coffee. This tour is a must for food lovers. Please note: guests with food allergies are recommended to inform your guide, so they can plan a healthy meal that suits you. Explore the natural beauty of Oahu’s western coast on a 3.5-hour catamaran cruise that includes a wildlife experience and snorkeling. 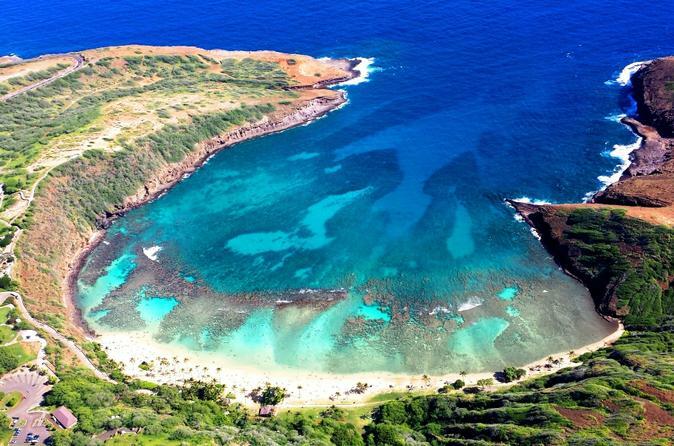 Glide along the unspoiled west coast from Ko Olina to look for whales and dolphins in the pristine waters off of Oahu, then snorkel in a secret spot that affords a great view of the coral reef and fish. Wrap up with a Hawaiian buffet feast accompanied by alcoholic or non-alcoholic drinks. Expert crew share informative commentary throughout the day as you discover the treasures of this Hawaiian paradise. 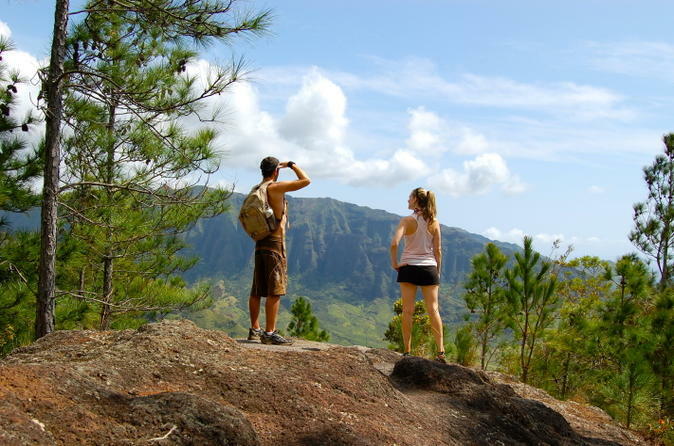 Discover the hidden hiking treasures of Oahu's lush volcanic rainforest. This moderate 2-mile (3.2km) round-trip guided hike is a rare opportunity to explore 75-acres (300,000 square meters) of sacred land that is exclusive only to the guests of our company. Experience the majestic beauty of our towering 200-foot (60 meters) private waterfall, cross through tranquil streams, picturesque pools and view ancient lo'i (rock terraces) and lush tropical vegetation of Hawaii's paradise. Experience Oahu’s natural beauty and historic sites on a full-day coach tour that circles the island of Oahu. 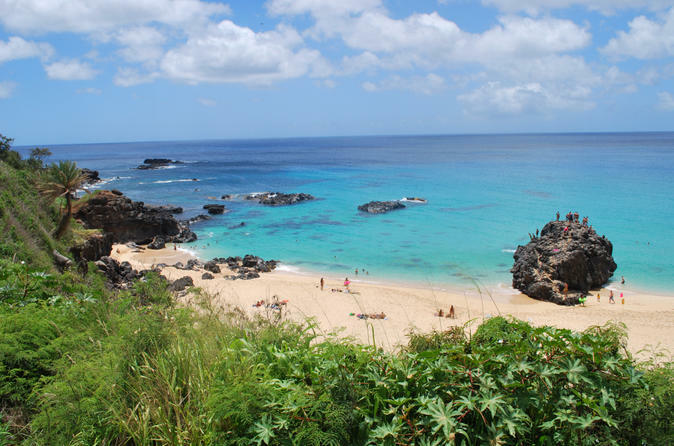 See North Shore beaches like Banzai Pipeline, Sunset Beach and Waimea Bay. Take in the scenery at Diamond Head, the Halona Blowhole, Hanauma Bay and Nu'uanu Pali lookout. 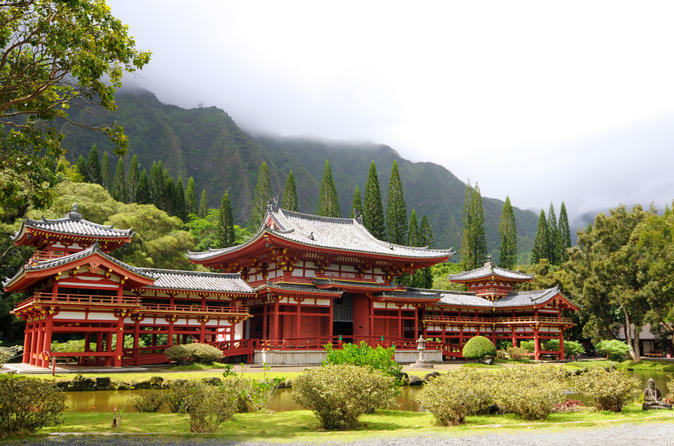 Walk through the grounds of Byodo-In Temple, the Dole Plantation and Waimea Valley. Your expert guide shares informative commentary throughout the day as you enjoy stunning views and island landmarks during your 120-mile (193 km) drive.